THE GOREE ALL-GIRL STRING BAND has been selected as the recipient of the USA Kevin Spacey Foundation Artists of Choice Award for Musical Theatre. For more info, click here. The year is 1938 and The Goree All-Girl String Band is the biggest new radio sensation in Texas. They also happen to be convicted criminals. The six band members teach themselves music from behind bars and earn a slot on a prison-based radio program. Through sisterhood, determination, and a little bit of luck, these women work (and play) together to fiddle their way to freedom. 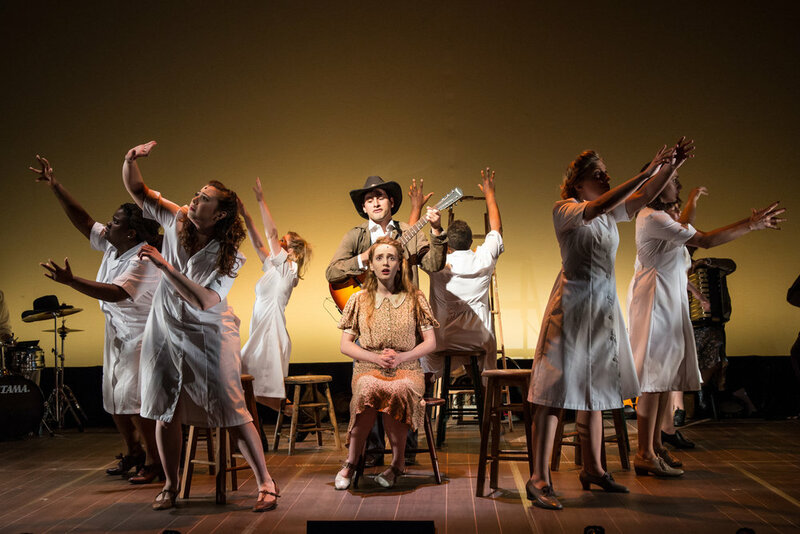 Inspired by a true story, THE GOREE ALL-GIRL STRING BAND is a tale of redemption that features an ensemble of actor-musicians performing a brand new country score.